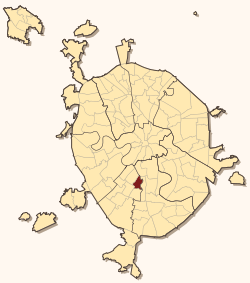 Kotlovka District is an administrative district (raion) of South-Western Administrative Okrug, and one of the 125 raions of Moscow, Russia. This article is issued from Wikipedia - version of the 5/22/2013. The text is available under the Creative Commons Attribution/Share Alike but additional terms may apply for the media files.